When FBCE launched Connect Camp on the July 2nd, we were diving into uncharted waters. We weren’t sure who would come, what would happen, and how people would feel about it. Today, I’m excited to report that Connect Camp 2015 was a smashing success! We had a great bunch of kids, relationships were built, and families felt loved. To God be the glory! Connect Camp averaged 45 kids per day. We were able to minister to over 60 kids throughout the month of July. And while these numbers fall short of FBCE’s VBS stats, they greatly exceeded the total number of campers who attended Winshape and Centrikid weekend camps. (FBCE took 4 kids to the Winshape Camp for Communities in Dublin and 14 kids to Centrikid weekend camp at Norman Park). 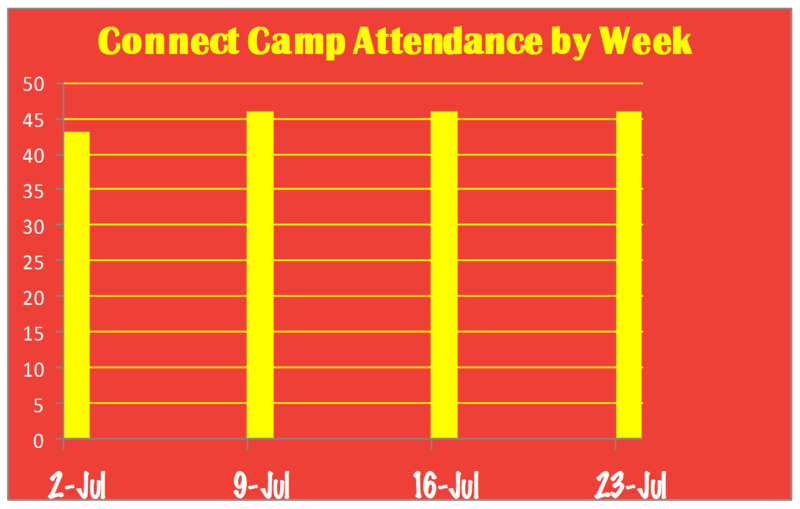 In short, Connect Camp allowed FBCE to connect with an unprecedented amount of kids this summer. And many kids who could not afford or find time to attend a traditional summer camp, we able to experience camp at FBCE! Connect camp also served as a great venue for building relationships. Because the class sizes were smaller than their VBS counterparts, the teachers and track time leaders were able to devote more time to individual kids, learning their hobbies, families, and concerns. We also had tons of opportunities to relate the gospel to kids’ lives through basketball, art, and the small group time. Lastly, Connect Camp ministered to families. For years, parents have asked FBCE to do some kind of summer program. Connect Camp was just such a program. It received a warm welcome from kids and parents alike. And the word spread. When camp ended, we had ministered to over 65 different kids. And 30 were non-church members.Most everyone who interacted with Connect Camp loved it, asking FBCE to do it again next year! The positive feedback is a great testimony of God’s goodness and of the sacrificial work that all the parents, college students, and high school students put into camp. I am very thankful for all who helped! I also wish to thank Lifeway. Their Zip curriculum made camp possible. It provided me with the direction and our teachers and track leaders with the amazing activities. The FBCE Connect Team and Zip curriculum proved to be the perfect combination this summer! Connect Camp was launched to help the members of FBCE connect with our community in order to connect families to Jesus. By God’s grace we succeeded. Connections were developed. But we are not done. We need to keep building on what was start by participating in the Back 2 School Connection and the Veggie Tales Movie Morning. We need to keep developing an outreach mindset of ministry and teaching! Oh and one more thing! 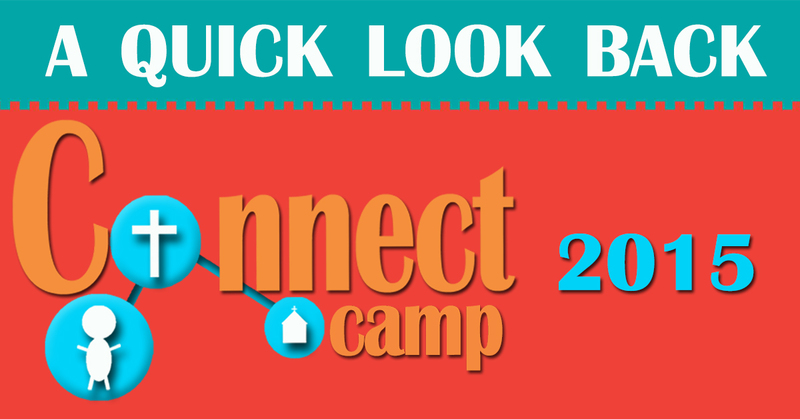 Connect Camp will be back in 2016! More information will be coming in the days ahead! What was your or your kids best summer camp memory this year?